Meryl Streep doesn’t win Oscars. She hunts them. And there have been few greater awards-hunting roles than that of Margaret Thatcher. I will admit to having raised an eyebrow when America’s greatest living actress took on the role of Britain’s first woman Prime Minister. Twenty years and more since she left office, her voice, look and mannerisms remain indelibly printed on our collective consciousness. This would be a challenge for any actress, but surely more for an actress who is not British. The final reveal of Streep’s Maggie in this entertaining teaser for The Iron Lady dismisses any fears. She’s got it. We wait to see whether the script (Abi Morgan – Brick Lane) and the direction (Phyllida Lloyd – Mamma Mia!) can live up to the central performance, but with a fine supporting cast (represented here chiefly by the excellent Roger Allam) this could be something a bit special. One thing is certain though. A 17th Oscar nomination for Miss Streep seems to be in the bag. Should her portrayal of Mrs Thatcher be rather scary, at least we won’t have to endure the horror in 3D. However, whilst that particularly behemoth appears to have stalled of late, it’s getting a shot in the arm from some big name directors. 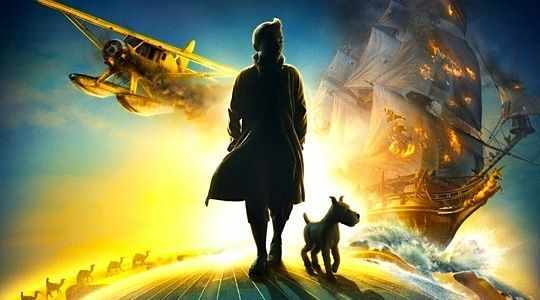 Much anticipated is Steven Spielberg’s The Adventures of Tintin: The Secret of the Unicorn (trailer available from Empire Online). Here, we get a full length trailer which shows us that the animation of this film is absolutely top draw and it looks stunning. There’s also a lot of humour, particularly the charming reveal of Tintin’s distinctive flick in a reflection. However, the slug-lines are making much of the 3D-ness of it all, and this is distressing. We’ve been told again and again that this time the 3D would be great, and I find no reason to trust these assurances, not even from Spielberg. Nevertheless, hopefully this will be Spielberg back on form, adding another classic to his list of great, entertaining, blockbusters. Another 3D-convert is Martin Scorsese, and having watched his new trailer for Hugo (available here on apple trailers), the 3D is going to be the least remarkable thing about this film, because this is going to be a Scorsese film like no other. Scorsese appears to have made a Tim Burton film. Set in Paris, this is a fantastical story about an orphan who lives in the wall of a train station. There appear to be very charismatic child leads (Chloe Moretz and Asa Butterfield) and a fair amount of comic relief from Sacha Baron Cohen. It looks beautiful and magical and hopefully a lot of fun, but this is a world away from the Scorsese we know, not that he could ever really be categorised.